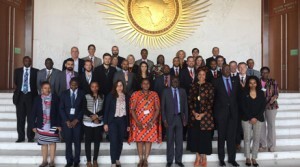 The African Union Commission (AUC) and the US Mission to the African Union (USAU) organized the first US-AU Countering Violent Extremism (CVE) Week, from 25-27 October 2017 at the AU Commission Headquarters in Addis Ababa, Ethiopia. 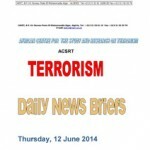 The African Centre for the Study and Research on Terrorism was represented by Mrs. Nashwa Kamel. 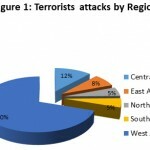 The meeting aimed at exploring existing AU, Regional Economic Community (REC), and U.S. CVE initiatives and approaches, seeking to better understand current efforts, share experience and develop linkages to build stronger partnerships toward preventing and combatting terrorism and violent extremism in Africa. The meeting brought together representatives from U.S. Mission to the African Union, U.S. Department of State, CT/CVE Experts, The U.S. Agency for International Development (USAID), The U.S. Department of Defense (DoD), AUC, Department of Peace and Security, AUC, Citizens and Diaspora Organizations (CIDO) and three youth participants from their Interfaith Dialogue on Violent Extremism (iDOVE), AUC, Youth Division, The African Center for the Study and Research on Terrorism (ACSRT), The Intergovernmental Authority on Development (IGAD), both the Center for Excellence and the Secretariat, The Southern Africa Development Community (SADC), G5 Sahel, United Nations Development Programme (UNDP), The European Union Mission to the African Union (EUAU), Permanent Mission of Morocco to the African Union (as co-chair of the Global Counterterrorism Forum), Embassy of Australia, Addis Ababa, Ethiopia and Institute for Security Studies (ISS). Mrs. Kamel made a presentation on the mandate of the ACSRT and its efforts in the prevention and countering of violent Extremism. She stressed that the primary role of the ACSRT is to assist AU Member States(MS) to build their capacity to prevent and counter terrorism and violent extremism. 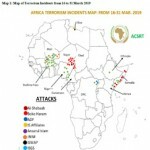 The ACSRT therefore assists AU MS develop/enact National Counter-Terrorism Legislation, Architecture, Strategy and P/CVE Plans of Action in conformity with the relevant International and Continental Legal Instruments & the AU Model Law. She emphasized that the ACSRT currently advocates the use of a Whole-of-Society, Human Security response approach to the issues of radicalization and violent extremism. The focus has been to foster cooperation among first responders from the military, intelligence and law enforcement agencies on the one hand and community leaders, Youth, Women and Civil Society Organizations (CSOs) on the other hand. The ACSRT currently works closely with partners such as UNODC, CTED, RECs/RMs, CISSA, UFL and AFRIPOL. Meeting conclusions. Participants noted the pivotal role of multilateral institutions in combating the global threat of violent extremism. They emphasised the need for coordinated cooperation among the AU, RECs, and the relevant United States Counter-Terrorism Agencies in order to more effectively counter and prevent violent extremism in Africa. They stressed the need to share good practices and lessons learned, and identify key gaps and potential avenues for collaboration. 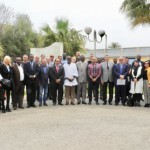 The meeting advocated the need for a blend of “bottom-up” CVE approaches which entail engaging vulnerable youth, women, and men in the context of their local communities, with “top-down” approaches to CVE, which involve the State and its institutions.